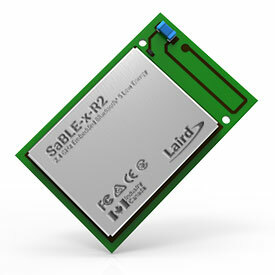 SaBLE-x-R2 is a certified Bluetooth® low energy module built to deliver unmatched RF and power performance. 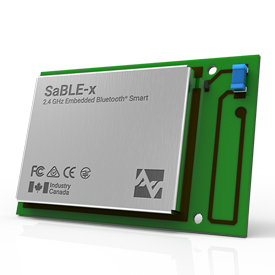 The SaBLE-x-R2 builds on the field-proven hardware of the SaBLE-x to provide a simple, easy upgrade path for Bluetooth 5 connectivity. Built to remove complexity and accelerate development time, the module is pin-to-pin compatible with the original SaBLE-x hardware, which means upgrading to R2 does not require any PCB, footprint, or hardware changes in any existing SaBLE-x board layout. 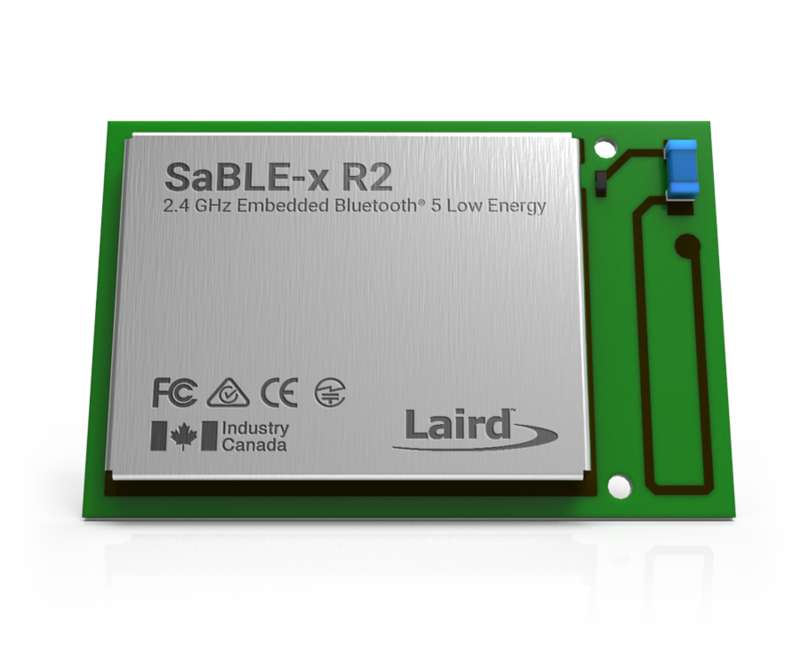 Note: The SaBLE-x-R2 is a hardware-only offering and does not include software by Laird / LSR, other than an initial sample application and supporting mobile app (ModuleLink) for validating the SaBLE-x-R2 development board. 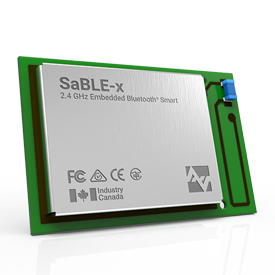 The SaBLE-x-R2 hardware is fully supported with TI’s BLE stack, freely available for SaBLE-x-R2 customers at http://www.ti.com/tool/simplelink-cc2640r2-sdk. See Getting Started with the SaBle-X-R2 for more information. 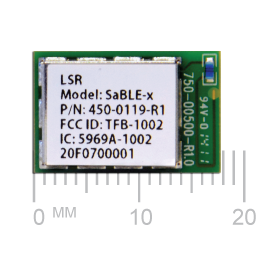 Based on the new TI SimpleLink™ Bluetooth® Smart CC2640R2F wireless microcontroller (MCU), this self-contained SaBLE-x-R2 module provides unmatched integration, including an ARM Cortex-M3 application processor and an ARM Cortex-M0 dedicated for the RF core, dedicated Sensor Processor Engine for low power operation, greater FLASH memory available for user application development compared to prior silicon variant, and both high- and low-speed clocks.